Recently, Josie Swanson, her husband and her two sons (2.5 and 5.5) visited Suncadia Resort, just east of Washington’s Cascade mountains. She shared some new restaurants she found (which sound SO good) and activities at the resort. Let’s hear more! How did you like Suncadia Resort? What kinds of things did you do with the kids while at the resort? The kids liked the playgrounds, water slides/pool/hot tub, hiking/biking/scootering around, seeing lots of wild animals (elk and deer), etc. I liked the sauna, steam room and gym. It was a great place to run (except for the altitude!). I didn’t do the spa, but would next time. We stayed in the Lodge one-bedroom and a full kitchen and a washer and dryer was nice. It would be fun to be there in the winter to use the ice-skating rink and do other snow sports. The thing I liked a lot about Suncadia is how CLOSE it is to Seattle. We hate long drives. The trip back was so fast! And the service was great, too. In Cle Elum, we took the kids to Interactive Toys, which is now called The Plaza. She’s going to still have toys, but fewer, and is adding in some other things. 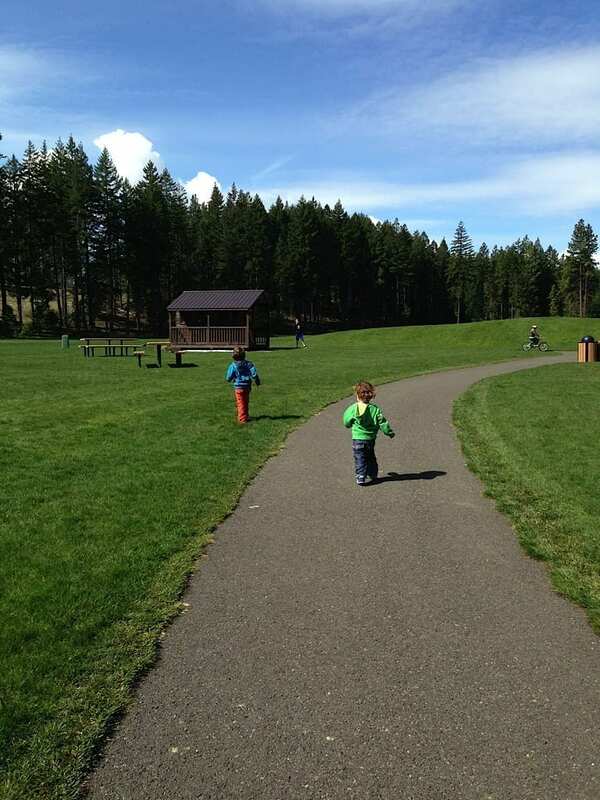 Where did you eat with your kids at Suncadia or in Roslyn? 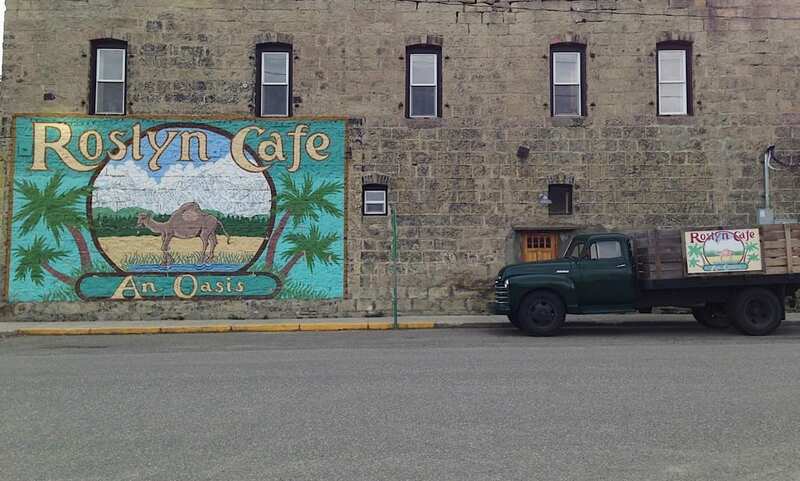 The Roslyn Cafe has new owners as of December and was really good and kid-friendly! Kind of reminded me of Endolyne Joe’s and some other Seattle places. Full bar, great drinks! The newish Roslyn cafe Pie in the Sky was excellent and the brunches were better than Seattle brunches. Rustic, down-home, perfectly seasoned. I’d eat anything on the menu. The owner is AWESOME. We’d eat there all the time if out there more. Village Pizza was good! Crust could be better, but the browned cheese on top was a nice touch. We were starving, so it was a hit with us. The ambiance in the family dining room was terrible at The Brick Saloon. If you can’t go there without kids and eat in the bar (which is very cool), it may not be worth it. Safeway is the only real store out there. The little natural foods store in Roslyn — Maggie’s Pantry — was very limited, but nice to have in a pinch. Any caveats or things you wish you knew in advance about staying at Suncadia? They do nickel and dime you. Our final bill for three nights was BIG. Our good friends happened to plan a trip there that overlapped, and they have boys the same age as ours. Our friends also liked it a lot, except the nickel-and-diming and they only stayed two nights and felt that they needed three. I can only compare this place to places like Alderbrook, Semiahmoo, Sleeping Lady and Surfsand. We thought it was substantially better than most. It’s not too late to go somewhere for winter vacation. Here’s a quick rundown (and a few opinions) on Destination Resorts’ getaway options in our area. 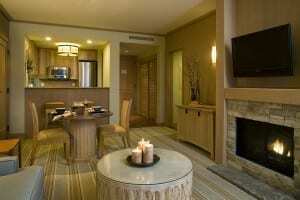 Sunriver Resort is my favorite property in our region. This winter, Sunriver is offering over 100 workshops, camps and childcare options through “Traditions.” Among the offerings: sleigh rides, snowshoe and caving tours, magic shows and Fort Funnigan (both of my kids gave the Fort their approval). I love the new indoor pool, generously sized condos, solid dining options and all the great options in Bend. It’s close to Mt. Bachelor, too, for the fresh-powder fans. 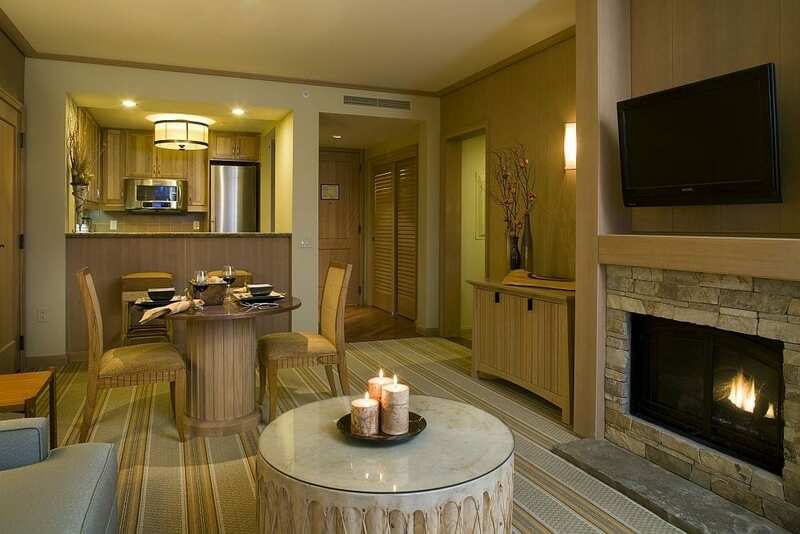 Sample rate: $189 for a lodge room. I recommend a vacation rental (usually the same price or less) when staying here; the kitchens make a huge difference in a pleasant family vacation. But the website doesn’t always work well (it was nonfunctional, this morning, for example)– call to get exactly what you want. Sunriver’s knowledgeable reservation agents are great. In the Columbia Gorge (and only about 45 minutes east of Portland), the Skamania Lodge offers Elf Story Time through December 29, along with s’more roasting and wine tasting (only for grown-ups). Check the event calendar for more information. There’s a page on “family offers” but honestly, nothing seems all that family-friendly, so I’d just stick with a rack rate unless you’re planning to eat in the restaurant (which is quite good). 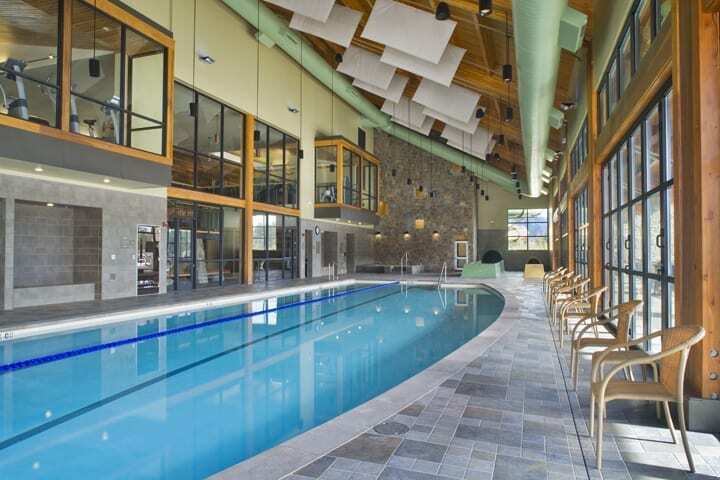 Located about 90 minutes east of Seattle, Suncadia Resort has two popular waterslides, an indoor pool and outdoor sports galore (rope-tow sled hill, ice skating, cross-country skiing, and more) and s’mores by the fireplace. Campcadia offers childcare (so you can relax in your room with a good book, get a spa treatment or go out on a cross-country excursion). Check the current schedule for more information. The bad news: this place is quite sold out, and rooms that remain aren’t cheap. Activities are extra. Maybe you just want to enjoy the big city’s pleasures, kids in tow. The Seattle Family Vacation Package includes an overnight stay, welcome bag with bottled water and snacks, a “Red the Lion” plushy, tix to the Woodland Park Zoo, overnight parking AND a $50 Chevron gas card. Not bad. I haven’t stayed here or visited the property yet, so if you end up going, e-mail me and let me know what you think. Here’s a quick link to the Tripadvisor reviews. I’ve often cast a covetous eye at friends’ photos of Suncadia Resort, a lodge-style, kid-friendly stay just east of the Cascade Mountain range. About 90 minutes from Seattle, this resort offers houses, condos, suite-style rooms and hotel rooms on 6,400 acres of pine-spiked landscape. Obviously, it’s time for a review. We stayed in the Lodge One Bedroom, a 870-square-foot suite-style option in the main 254-room Lodge at Suncadia. The kitchen was marble-trimmed, with real wood cabinetry and stainless steel fridge, dishwasher and range. Open floor plan in Suncadia Resort living room. Photo courtesy of Suncadia. The high-ceiling living room featured a gas fireplace and stunning views of the Cascade range. The bathroom was so big I could drive my Honda inside. The bedroom came with a King bed, a television, work desk and yes, even more gorgeous views. Bikes are spendy at the two-hour rate, so spring for the 24-hour price or bring your own for tooling around the paved trails. 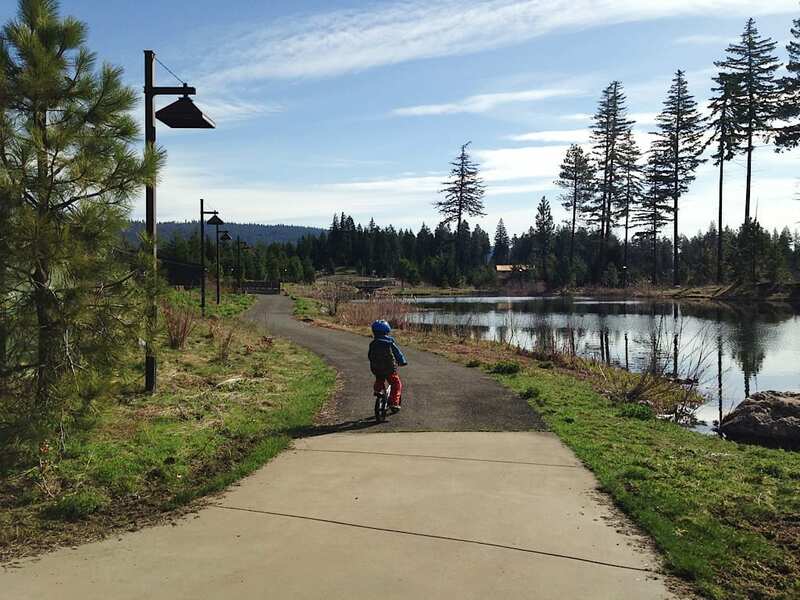 Suncadia’s 10 miles of trails are also easy with strollers or baby joggers. Deer love Suncadia’s taste in plants. And always keep an eye out for the locals — we saw a family of eight deer mowing down the property’s native plants when we were there. Apparently quite used to humans, they didn’t budge, even when we were about nine feet away, snapping photographs. The Fitness and Swim Center’s pool is generously sized and offers a few toys, including noodles and diving rings. You have two water tubes to choose from — the green one is slower but you’ll screech your way through pitch-black darkness, while the yellow one runs faster but offers more light. The flumes dump you into a soaker-sized tub at the end (not a pool). The tube and pool family hours vary, so call ahead to make sure you’ll arrive in time to enjoy both. It’s an all-season sort of resort, but probably best in summer (boating, hiking, additional outdoor pool and children’s programs) or winter (cross-country skiing, snow play and a rope tow). Spring and fall offer iffy weather but dramatic vistas and migrating birds. During our spring stay, we went to Roslyn and Cle Elum for some sightseeing and shopping (recommended), and it was nice to return to Suncadia for evening storm-watching. The on-site restaurant Fifty 6 offers a menu at well-heeled prices. Smaller portions (for small tummies) are available; the children’s menu served the standards. We did not eat in the restaurant, and instead took advantage of our Suncadia kitchen and less-expensive restaurants in Roslyn. My only complaint: The front desk staff didn’t seem as professional or helpful as they could’ve been, with the exception of a few standout employees. And when we accidently left our swimsuits behind in the room, the suits were apparently gone for good and housekeeping staff wouldn’t call us back. It didn’t leave the best impression regarding customer care. This experience wouldn’t stop me from returning — it’s an excellent family vacation destination and my daughter came up with a list of 20 reasons to return — but it might encourage me to look under every bed and double-check closets before leaving. It was insanely windy when we were there. More so than usual, I was told. But friends say it’s often blustery, just because of the location. Pack a windbreaker and a hat. Don’t pack any hair products – it’s a lost cause. Just pack a hat. If you don’t want to pay rack rate at Suncadia (And who wants to pay rack rate anywhere? Not me), sign up for the Suncadia Resort E-mail Club, so you can stay abreast of last-minute specials.